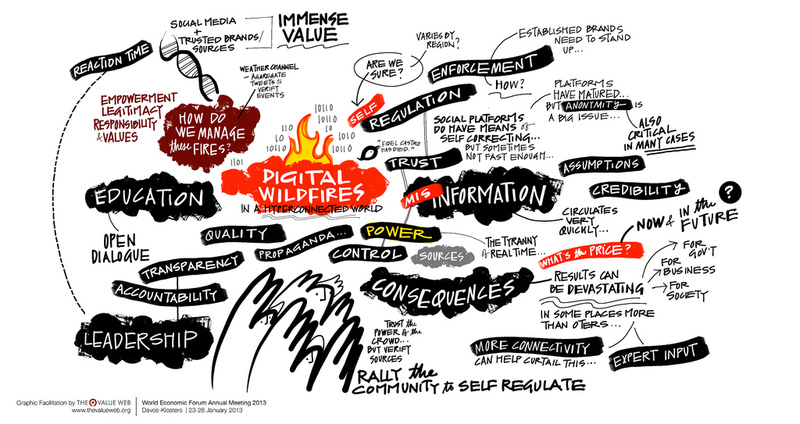 Digital Wildfires: (How) can we limit the spread of harmful content on social media? In 2013 the World Economic Forum (WEF) released a report that described social media as a global risk factor due to the dangers of ‘digital wildfires’. Digital wildfires involve the rapid viral spread of content that is in some way harmful – rumours, hate speech, misinformation, malicious campaigns etc. The status of hyper connectivity brought about by the contemporary popularity of social media means that this content can spread to multiple others in a very short period of time, causing harm to individuals, groups and communities before other agencies – such as the police and traditional new media – can mobilise to counter it. In response to the WEF report a team of researchers from the Universities of Oxford, Warwick, De Montfort and Cardiff conducted a study to investigate the risks posed by digital wildfires and identify ways in which the spread of harmful content on social media may be managed, limited or prevented. In this talk, two members of the team present the major findings of the study. Professor Jirotka and Helena Webb describe how harmful content continues to spread rapidly across social media, creating difficulties for agencies including the police, the CPS, councils, news media, social media platforms, schools, charities and anti-harassment and equality groups. They also describe the limitations of legal frameworks in dealing with the vast amounts of content posted on social media and highlight opportunities for user education, engagement and user-self governance that can limit the spread of harmful content in real time whilst also upholding rights to freedom of speech. Finally, they ask whether recent controversies over the spread of ‘fake news’ and the work of Cambridge Analytica etc. might lead to changes in the policies of social media platforms and therefore create further opportunities to address the viral spread of harmful content online.